Early Flash Sale this weekend. Games include Tekken 7, Dragon Ball FighterZ, Far Cry 5, The Crew 2, Street Fighter V, and Ni No Kuni II. Deals Under $10 sale on PSN. Games like Battlefield 4 from $59.99 down to $8.99. Why not? Nice! Less than 20 na lang ang Far Cry 4. Played Far Cry 3 together with the Blood Dragon expansion and it's one of the most amazing games I played last year. Time to top-up! Sale ends on Aug. 28, 11PM, Manila time. 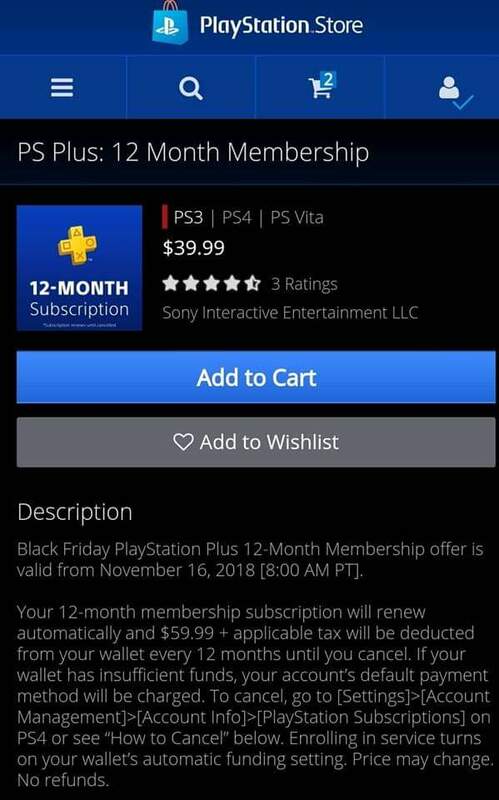 1yr subscription to PS Plus is discounted. Only $39.99 until the 26th.